A statement from the office of Myanmar’s President Htin Kyaw blamed the little-known “Aqamul Mujahidin” for the attacks around Maungdaw Township, a mainly Muslim area near the frontier with Bangladesh. “They persuade the young people using religious extremism, and they have financial support from outside,” said the Burmese language statement. Reports of the latest attacks against Rohingya Muslims in Myanmar may signal a new phase in the “genocidal situation”, researchers at London’s Queen Mary University have said. Credible reports are emerging of extra-judicial killings, arbitrary arrests, and raids on Rohingya homes by Myanmar security forces, researchers at the college’s International State Crime Initiative (ISCI) said. At about 10 a.m., military personnel entered the village tract of Kyet Yoe Pyin and set fire to the whole hamlet, Lu Pann Pyin. Then they set fire to another hamlet called Ywar Ma. Some of the women from there who couldn’t find a way to escape were shot dead while they were hiding inside their houses. They were left in homes and the military later set fire to them. It is estimated that nearly 500 houses are said to have been burnt down in both of these above mentioned hamlets. “Since the attack, we have documented several videos showing armed men – some had guns, some had sticks and swords – speaking the Rohingya language and encouraging volunteers to come and engage in armed conflict in Rakhine State,” Matthew Smith from Fortify Rights told Radio France International (RFI). “This is a very serious situation unfolding there. The government of Myanmar has commenced with what appears to be a very brutal crackdown, we’re documenting allegations of extrajudicial killings.” “Essentially the Myanmar Army is moving into villages, suspecting all of the men and boys of being involved with this rather small group of armed men and committing a variety of human rights violations,” Smith added. 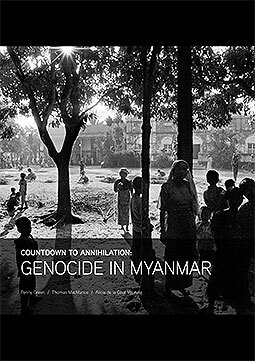 Northern Rakhine state is “in effect an information black hole, and in situations where allegations of human rights violations are difficult or impossible to independently verify – because of state restrictive practices – the onus must be on the state to investigate or disprove those allegations”, Penny Green, Professor of Law at Queen Mary University of London and Director of ISCI, said. “We sounded the alarm in 2015 that what we saw amounted to the early stages of a genocidal process,” Green said. Green added that the merging evidence of indiscriminate violence by security forces mark a “disturbing yet entirely predictable escalation in the genocidal process”. Interestingly, while Suu Kyi’s government finger points young Rohingyas to be the perpetrators, a senior police officer in Rakhine State’s capital Sittwe (Akyab) has claimed that the attacks had been planned by drug traffickers. “They want the areas to be unstable so that they can do their business easily,” the officer, who spoke on condition of anonymity as he has no authority to speak to media, told Anadolu Agency on Tuesday. Did the Tadmadaw had a hand in those attacks and then put the blame on the Rohingya as part of a sinister ploy for a ‘final solution’ of the Rohingya problem? I won’t be surprised if the answer is – ‘yes’. “In that light, the Statement issued by Htin Kyaw Office is not really credible or verifiable – beyond what it says,” says Dr. Zarni. 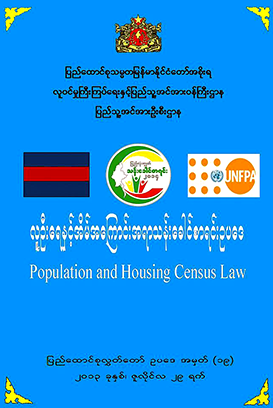 “First, all governments lie, and Myanmar Government lies typically and most frequently. Second, routinely Myanmar Military Intelligence fabricates stories and evidence. Ask ex-Major Aung Lin Htut in Marilyn, who was chief of counterintelligence at Myanmar Embassy in Washington. He KNOWS. Dating back to 1950’s in the midst of growing armed Communist movement, Myanmar Military Intelligence has a long history of fabricating “facts”, manufacturing and planting “evidence”, and extracting false confessions through torture. In the 1950’s the Army’s Psychological Warfare Publication called Myawaddy routinely published anti-Communist propaganda. It would publish pictures of beheaded Buddha images and damaged temples saying the Communists were responsible for these anti-Buddhist activities – whereas in fact the military would destroy them for photo-ops. This entry was posted in Articles, Feature, Rohingya and tagged Arakan, crise, Rakhine, Rohingya. Bookmark the permalink.